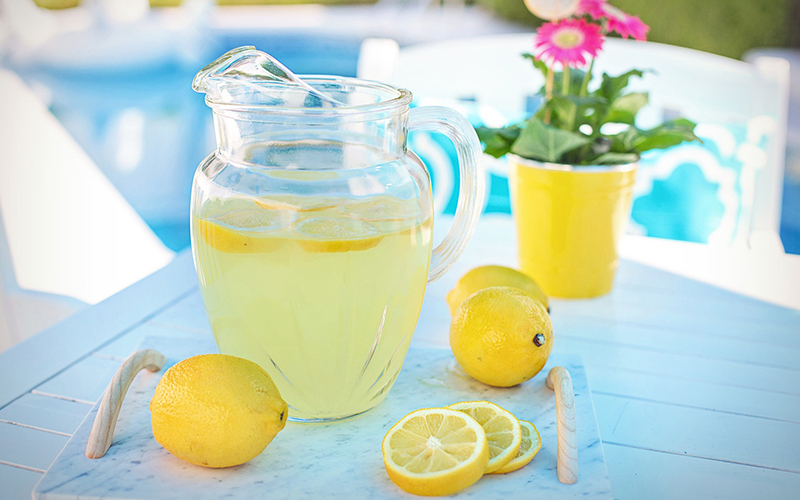 PHOENIX – Lemonade is one step closer to becoming Arizona’s state drink. The Senate Government Committee voted 6-1 to move House Bill 2692, with only Sen. Juan Mendez voting against it. The bill now goes to the Senate Rules Committee and, if passed, the full Senate. Four senators jokingly proposed amendments to change the state drink to pink lemonade, sun tea, margarita or Jamaica, a drink created from hibiscus flowers. Those amendments were held. Sen. Victoria Steele, a Democrat from Tucson who introduced the margarita amendment, said Arizona has the best Mexican food north of the border and that margaritas are needed to enjoy it. Sen. Lela Alston, a Democrat from Phoenix, wanted sun tea as the state drink, saying it’s inexpensive, always available and more representative of Arizona’s entire population. In explaining his no vote, Mendez called lemon sales in Arizona poor compared with other states, but the Tempe Democrat didn’t elaborate. Before the committee met, bottles of lemonade sat behind the nameplates of each senator on the panel. Steele later asked jokingly if they were bribes. “We work hard down here and sometimes we need a little humor,” said Sen. David Farnsworth, chairman of the committee. During the final vote, Sen. Sonny Borrelli, committee vice chairman, joked that it was a shame that some members were sour on the bill. Arizona has a state fossil (petrified wood), bird (cactus wren), flower (saguaro blossom), tree (palo verde) and other designated emblems, but not a state drink. Rep. Warren Petersen, R-Gilbert, said Garrett Glover, 18, approached him with the idea about a year ago to make lemonade the state drink. Petersen noted that only about a quarter of the bills introduced in the Legislature make it all the way through the process. Asked why state lawmakers should take time out for this bill when others, such as banning gay-conversion therapy for minors, have not been heard, Petersen said it’s up to the chairman to decide which bills get heard, and what’s important to some people may not be important to others. Every bill presented has “equal opportunities to go through the process,” he said. Glover, who was inspired by the citrus component of the “5 C’s of Arizona,” agreed there are more important issues than state beverages but said bills aren’t treated differently, even though some may be considered lighthearted.